It’s well known that the Canadian Rockies is a pretty picture-perfect place, but I don’t think I was quite prepared for the incredible beauty which awaited me on my recent visit to the region. A lot is made of the mountains of Banff National Park, perhaps the most famous of the Rocky Mountain National Parks; and for good reason. The town of Banff is surrounded by craggy mountainous peaks and lush valleys, and a hike to the top of Sulphur Mountain is one of the absolute treasures of this part of the world. The top promises 360 degree panoramas of forests, turquoise lakes and hidden valleys. But what of the other areas of the Rockies? The parts which you don’t hear as much about? Here are some of my favourite unexpected wonders of the Rockies. Often overlooked due to its close proximity to the more famous HelMcken Falls, Spahats is in my opinion more impressive than its neighbour. 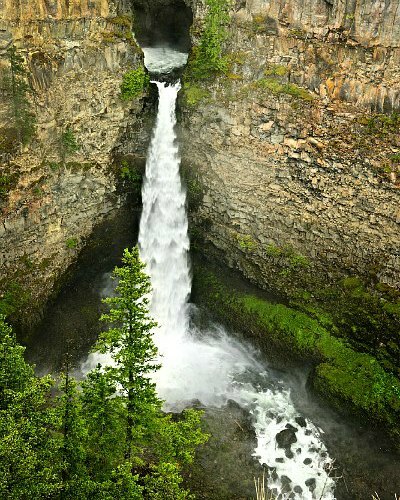 It pours with incredible force from a carved slot in the mountainside and slides through a seriously impressive canyon. 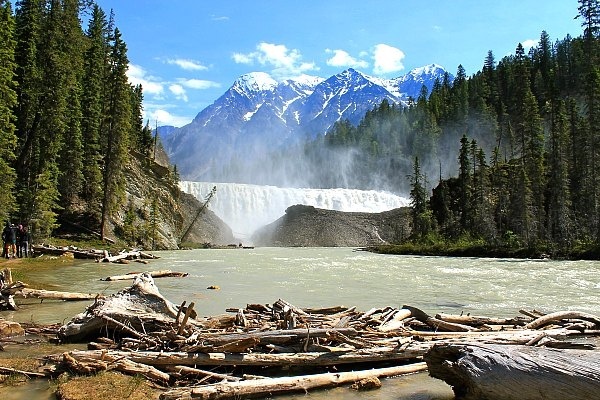 A short hike through a forest (clapping your hands along the way to deter bears) will bring you to Wapta Falls, part of the Kicking Horse River. The mist rises from the bottom of the falls to form a refreshing spray, and the views from the bottom of the valley are spectacular. Originally, the name Emerald Lake was given to what is now known as Lake Louise, but when Tom Wilson stumbled upon this turquoise coloured lake in 1882, he changed his mind and gave the name to the more deserving lake. 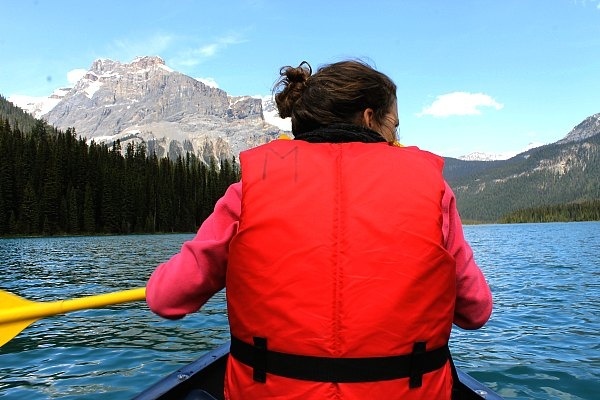 Take a canoe to the middle for unobstructed views and total silence. 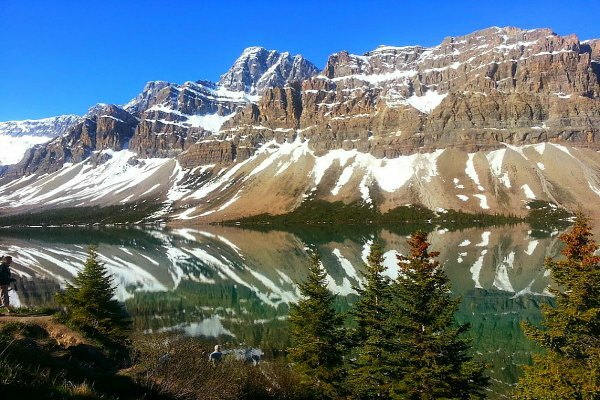 Situated on the Icefields Parkway, one of the most scenic drives in the world, lies Bow Lake. On a clear day and with the right conditions, it creates a complete mirror of the skies and mountains above. OK, this is a bit of a strange one. Between wine country and Yoho National Park lies Dave’s Goat Walk – probably the most surreal pit stop in Canada. 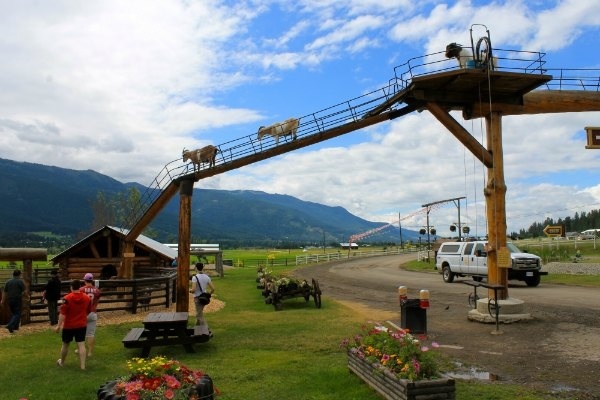 Real goats walk across an overpass to eat corn kernels fed to them by tourists on a pulley system. If that’s not weird enough, there are some amazing human treats on offer too, like the giant gooey cinnamon rolls. If you’d like to experience some of these lesser-known wonders, Why not try out Grand American Adventures’ trips to Canada, including the Canadian Park Trails and Canadian Rockies tours.